Wind can be a powerful force. On September 11, 1961, Hurricane Carla made landfall at Port O’Connor, Texas. 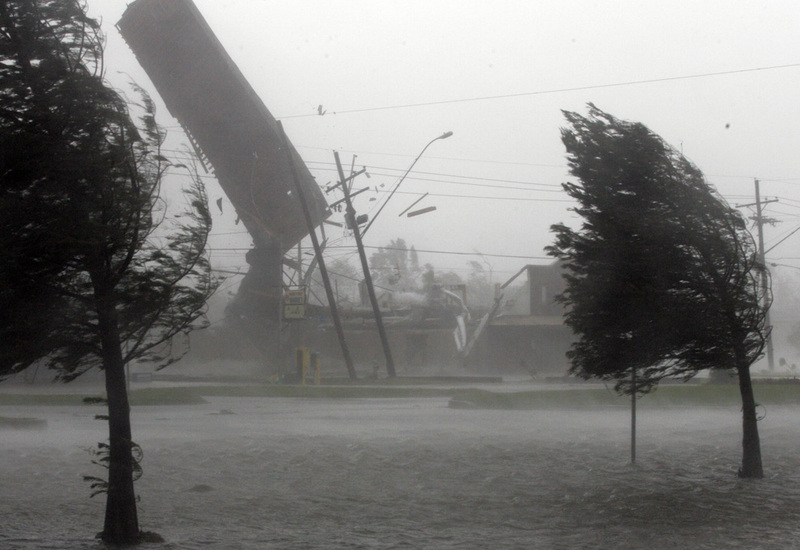 It was the most intense hurricane ever to hit the United States. Winds reached speeds of 175 mph. The older members of my congregation remember Hurricane Carla vividly. They say it sounded like a freight train passing through their living rooms. On the day of Pentecost, fifty days after Jesus rose from the dead, just ten days after his ascension into heaven, his disciples heard that same sound – the sound of a violent wind – the sound of a freight train passing through their living room. And with that sound came the Holy Spirit. You see, in the languages of the Bible, wind and spirit are the same word. The Holy Spirit is literally the holy wind, the very breath of God. Jesus told Nicodemus, “The wind blows wherever it pleases. You hear its sound, but you cannot tell where it comes from or where it is going. So it is with everyone born of the Spirit” (John 3:8). You can’t see the wind. The only thing you can see is what it moves: leaves blowing, snow drifting, waves crashing against the shore. You can feel the wind on your face. So it is with the Holy Spirit. You can’t see the Holy Spirit working. You can see the results, though. You can see people joyfully worshiping and serving God. You can see the tears dry on your friend’s face as she is comforted by God’s promises. You can see the joy of the Spirit and the peace he gives. You can feel it yourself. The Holy Spirit is like the wind. The problem is that many Christians want and expect hurricane force winds. They want to feel the overwhelming emotions that the Holy Spirit at times elicits as we hear his Word and promises proclaimed to us. Yes, sometimes you will feel a hurricane of emotions as the Holy Spirit drives you to tears of sorrow over your sins and tears of joy over his forgiveness. Sometimes you will feel God’s overwhelming presence fill your hearts as you sing out your praises to him. Usually, however, the Holy Spirit doesn’t work with hurricane force. Usually he speaks to us in the gentle whisper of his Word. Like a gentle fan slowly turning in your house, you may not even feel the breeze as the Holy Spirit quietly works faith and peace and confidence in your heart. As you sit in church hearing his Word proclaimed, as you receive Jesus’ body and blood in Holy Communion, as you spend quiet time reading your Bible at home, the Holy Spirit is gently stoking the flame of faith in your heart. We often don’t even notice the Spirit working through his Word and Sacraments, just like we often don’t notice a gentle breeze blowing against our faces. Don’t despise the gentle whisper of the gospel. Don’t think that the Holy Spirit only works when you feel overwhelming emotions in worship and prayer. The Holy Spirit can and does at times work with hurricane force, but he also quietly works in the gentle whisper of a Sunday sermon or a simple family devotion. His great power is behind that gentle breeze.